When I speak of multitasking as most people understand it, I am not referring to doing something completely mindless and mundane in the background such as exercising while listening to (a) CD, eating dinner and watching a show, or having the copy machine operate in the background while you answer emails. For clarity’s sake, I call this “background tasking”. Medina also cites studies which confirm the cost of all this switching back and forth among various tasks. 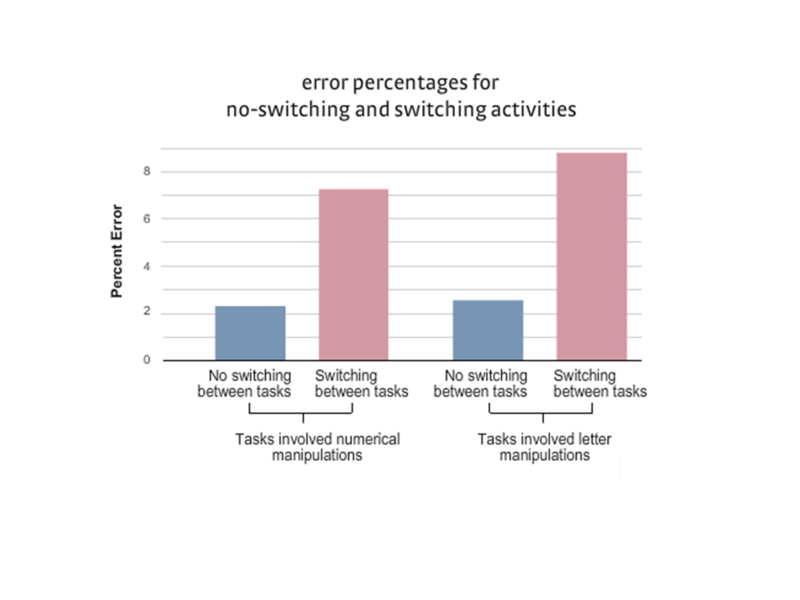 The chart below illustrates that our error rate is 3 to 4 times higher when we are required to switch between tasks! These data support the concept of distractions and multi-tasking being “traps” – when mistakes are much more likely to happen. The Practicing Perfection Institute has developed an Error Elimination Tools Handbook, which is especially helpful when you know you are in one of these situations. Were 19% slower in resuming their normal speed after braking. Had 25% more variation in following distance as the cellphone driver’s attention state shifted between talking and driving. If you would like to test your multitasking performance, download and complete the simple exercise below, which was originally developed by Crenshaw. It can start with simple behavioral changes like turning off your cell phone, email, or instant messaging notifications. Check and process any messages or emails in batches. Some have advocated spending only 20 minutes at a time working on electronic messaging – then taking another block of an hour or so before checking for any new messages. You will end up being much more productive because you will be focusing on a single task or series of tasks in sequence, rather than in parallel. 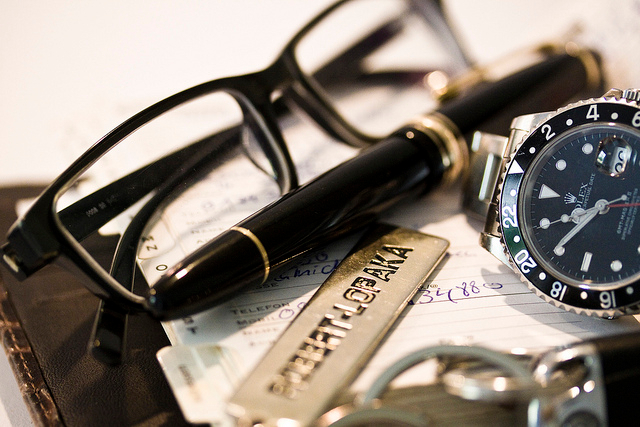 To the extent that you can schedule things, do this as well. Too often we just let things arise throughout the day and deal with them when they happen. You cannot do this with everything, of course. But it is another way to lessen the number of potential distractions. Here is perhaps the most important behavioral change. Don’t text/talk and drive! Many people will need a strong trigger to stop this habit. If you are tempted by the phone that may ping or ring while you are driving, put it in “airplane mode” before you get into the car. There are mobile phone apps which do not allow you to answer or receive calls if the GPS signal detects that the vehicle is moving. In the workplace, we should think about the potential for mistakes when people are multitasking or distracted. In an office, it could result in costly errors or rework. In a manufacturing venue, it could be a precursor to defects, poor workmanship, or an accident. As a manager or supervisor, watch out for these traps and consider ways to re-design the work, the schedule, or the environment to minimize the likelihood that multitasking is required to get the job done. The next time you hear someone claim that they are a “good at multitasking,” point out that they are really switchtasking – a behavior with many risks and a false sense of reward! Photo credit: https://flic.kr/p/8E3DBx. Robert Mehlan.